Why is it Important to Insure Your FIAT Car? Having a car insurance protects you from any unforeseen liabilities such as third-party liabilities and own damage liabilities that you incur as a result of a mishap. Also, as per the Motor Vehicles Act, it is mandatory for all to insure their vehicles with at least a third-party liability cover. 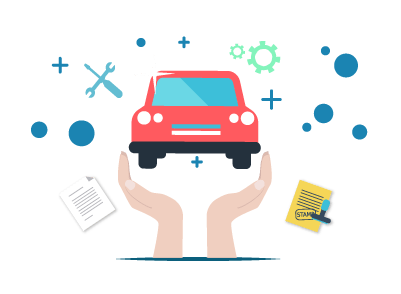 A comprehensive car insurance is an insurance plan that covers both third-party as well as own damage liabilities at the time of a mishap. A third-party liability cover is an insurance plan that covers only third-party liabilities at the time of a mishap. You can purchase or renew a car insurance online via third-party insurance websites or the insurer’s official website. Loss/damage due to hurricanes, storm, etc. Loss/damage due to vandalism, theft, etc. Yes, you can renew your car insurance policy after it expires provided the insurer has completed the inspection of your vehicle. Can I transfer my car insurance policy? Yes, you can transfer your car insurance policy. A voluntary deductible is a part of the insured amount that you opt to pay at the time of the claim settlement. An insurance certificate is the insurance policy document that contains all the information pertaining to the insurance policy. Depreciation is the loss in the market value of the car at any given point in time.